Here we provide an update about the Universities we have visited as well as those that are upcoming. 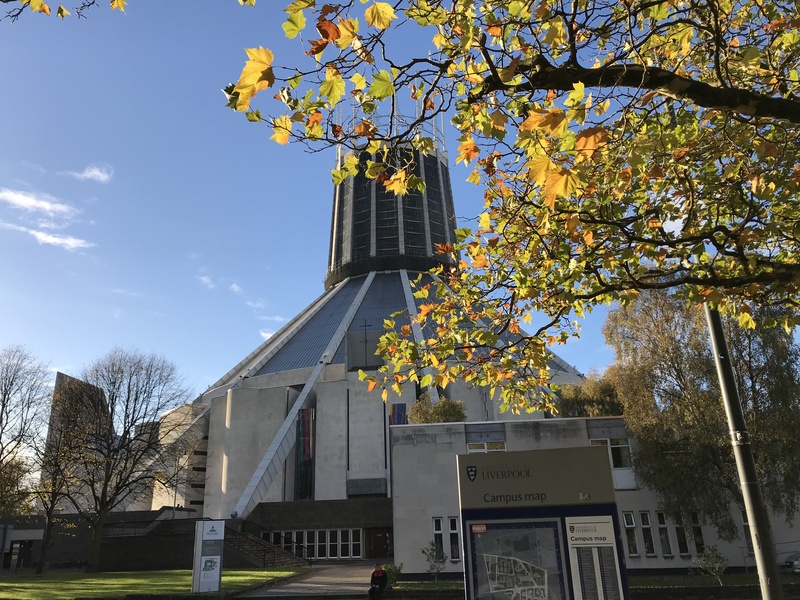 Having been in fantastic contact with Aine at the Liverpool University Marine Biology, Oceanograpy and Ecology Society (LUMOES), we were lucky enough to visit The University of Liverpool to discuss the skills based internship at the Marine Dynamics Academy. We had a nice turnout and a mixture of Marine Biology and Oceanogrpahy students join us for the talk. 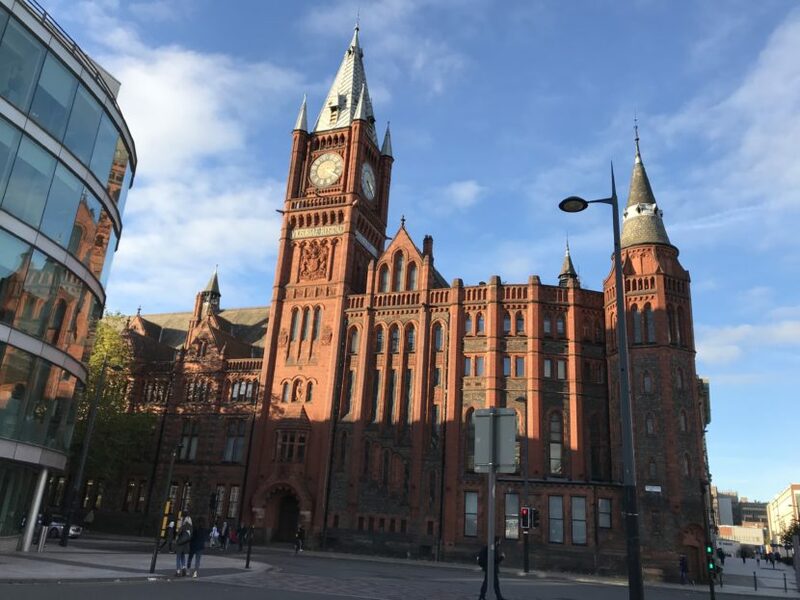 Liverpool University is also a little special as it was the institute where our Academic Leader studied his undergraduate degree in Oceanography! 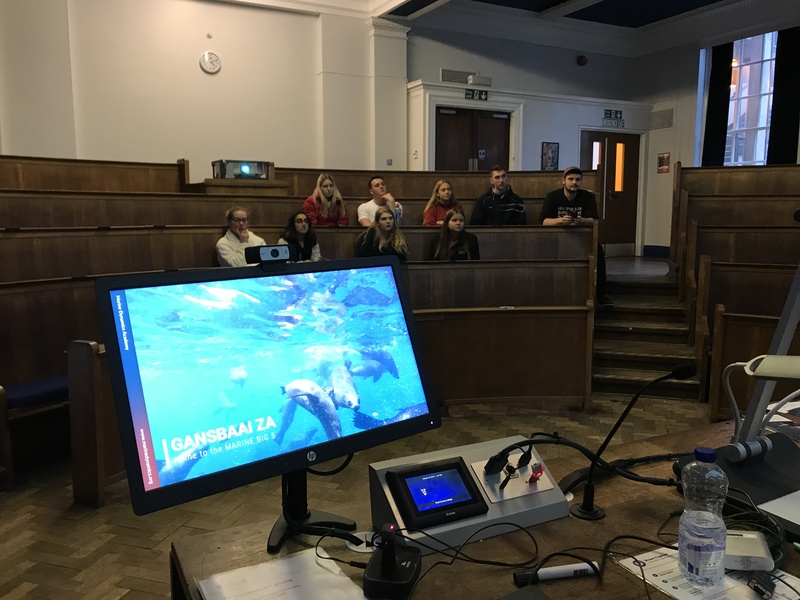 We had some excellent discussions during the talk especially regarding the research a data collection that we do with our cetacean wildlife! To finish up one of our last questions regarded diving and specifically learning to dive in South Africa. Remember we have qualified dive instructors and a dive school on sight! So if you were interested in learning to dive during your time with us in South Africa, all you have to do is let us know prior to you joining, so that you can study the learning material! Thanks Liverpool! Was great to visit again! On to our next University this time we headed to the North and into Scotland. After a lovely scenic train journey from North Wales to Scotland we finally arrived in Stirling to meet with members of the Science Society. Joining us here we had a mixture of ecologists, marine biologists and animal behaviourists. The group were very interested in the interactions between the Orcas and Great Whites that we have been observing over the last year. We were able to put forward and discuss some of the potential reasons behind the recent predations and subsequent disruption of ‘normal’ white shark movements in Gansbaai. 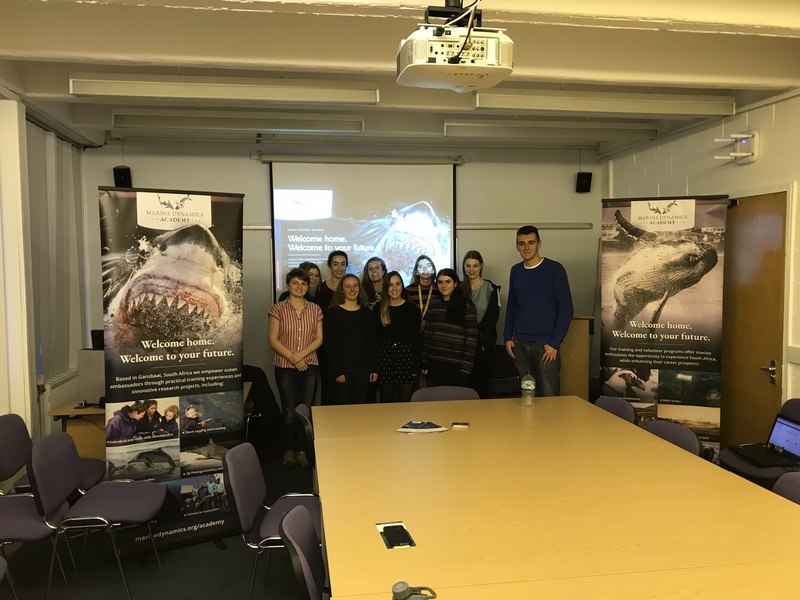 Another wonderful talk, so thank you to all those at Stirling that attended and to Alex and Kathryn for organising! 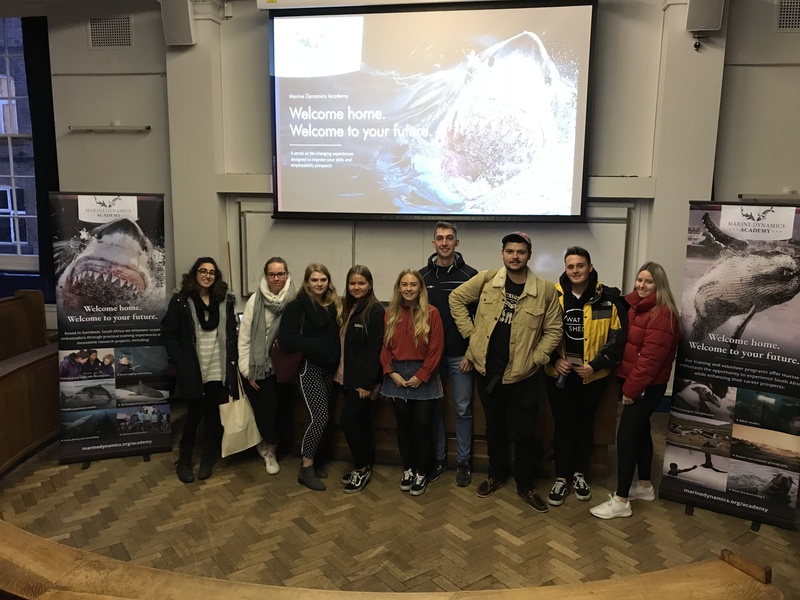 Our next stop on the tour was back across the Irish Sea to Northern Ireland where we visited Queen’s University Belfast. 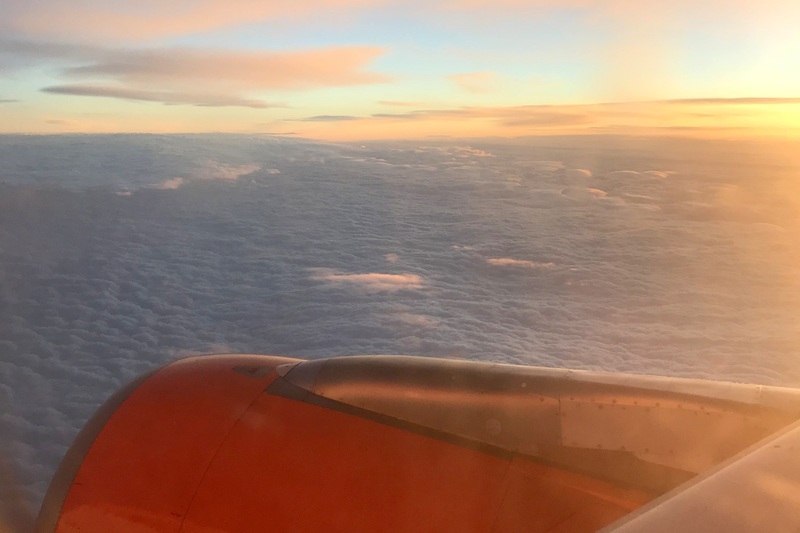 We boarded our early morning flight from Manchester, and arrived in the stunning city of Belfast for morning coffee. We first met with Mark from the placements and careers department, to discuss potential student opportunities! Courtney from the Marine Biology Society joined us along with her fellow students for the MDA talk. 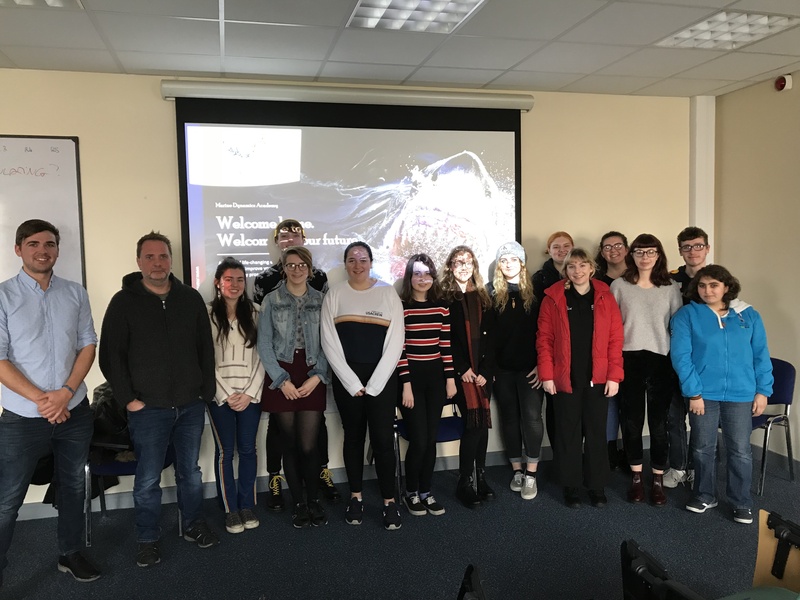 We had a fantastic talk with the students, discussing the ins and outs of the internship programme as well as the potential for student research projects. It was a real pleasure visiting Belfast so thanks to all those who joined us! Our next stops will see us heading to the South coast of England, so check in soon for our next update.